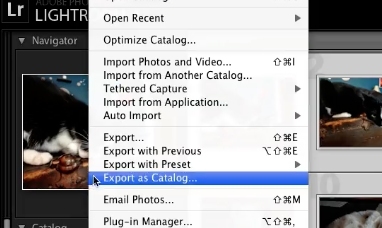 then Export as Catalog to display the Export as Catalog dialog box. 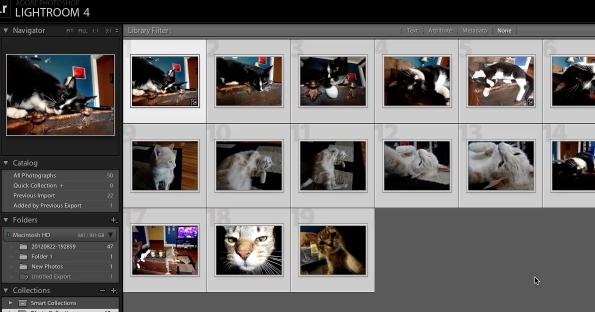 Click on Export Catalog. 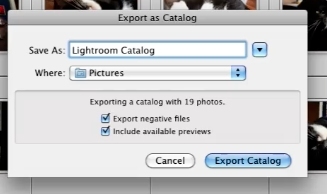 The light room catalog will now be exported to that location.